40 full color pages of some of the best model cars on the West Coast. 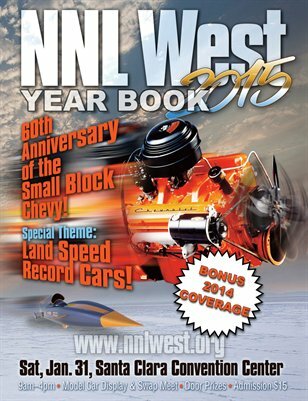 This year's NNL West featured some great examples of Land Speed Record cars, and we have EIGHT PAGES of LSR cars in this yearbook! In our coverage we present a wide example of everything that was there! We also included bonus coverage of the 2014 NNL West!